Snapchat’s high levels of engagement and growing audience of teenage and millennial users make the platform perfect for launching marketing collaborations with digital influencers. Top social media influencers are reporting between 300,000 and 400,000 views per Snapchat Story, according to Adweek, and Snapchat now claims 130 million daily active users. Because Snapchat doesn’t yet have a way for users to find new accounts, many brands are turning to Snapchat “Takeovers” to reach new audiences and increase the number of social media followers on a company’s owned Snapchat account. Snapchat Takeovers can be an essential element of a brand’s Snapchat marketing strategy by increasing company awareness and leveraging the audiences of social media stars. For a Snapchat Takeover, a company allows a top social media influencer or popular Snapchatter to take control of the brand’s Snapchat account for a set period of time—usually a few hours or an entire day. The digital influencer then directs followers to watch their “Takeover Story” on the brand’s Snapchat account, thus increasing the account’s visibility and generating social buzz around the marketing campaign. 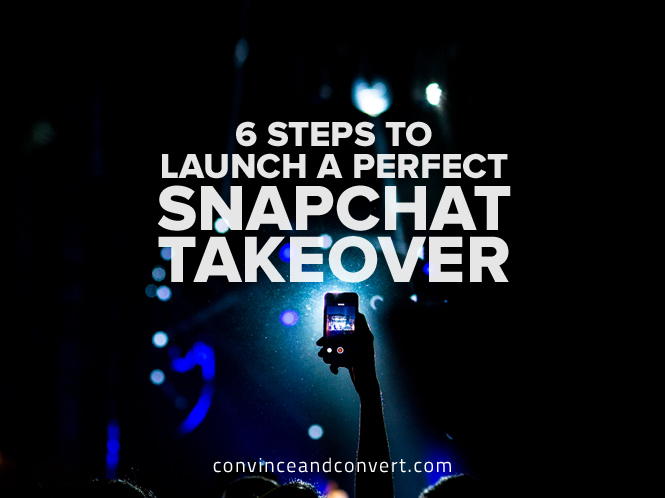 Consult our comprehensive infographic to learn how to do a Snapchat Takeover in six simple steps. For more information on how to craft an effective Snapchat marketing strategy, see our blog post here.